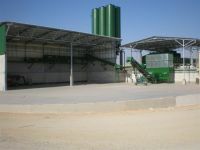 Stationary plants are the optimal solution for large intensive or extensive herds, as well as for commercial use. 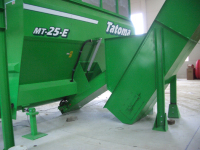 All plant components and equipment are custom designed to meet the needs of the farm. 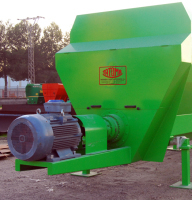 Delivery is then made using other distribution equipment, such as hoppers or delivery trucks. 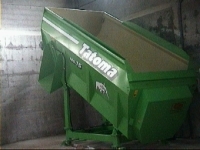 Tatoma designs static turnkey feeding plants using its range of mixers and other components. 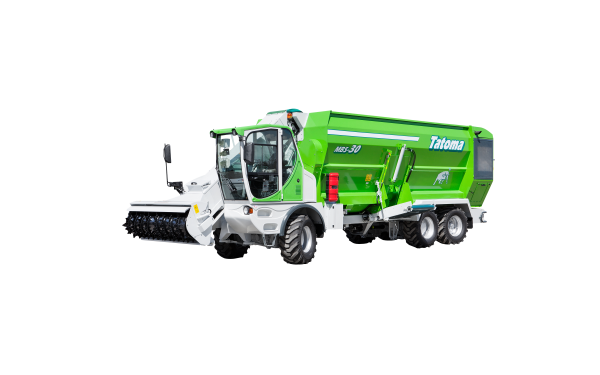 The electronic ignition system protects the machine motor from surging at start-up. 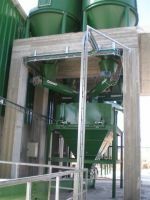 Static plants with a single auger static mixer are based on a MT mixing system, consisting of a central axis on which two hollow spirals are mounted, which travel from end to end to the center of the axis. 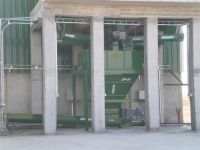 This mixing system ensures product movement both lengthwise and crosswise, while avoiding excessive compression of the ingredients, obtaining a fluffy and homogenous mix. 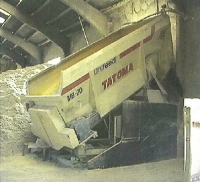 Beaters mounted on the inner wall of the tub perform a circular motion, which ensures better product flow. 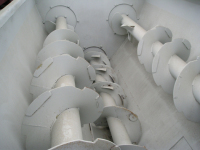 The two augers rotate in opposite directions toward the center of the tub, causing the ingredients to flow both lengthwise and crosswise. We recommend placing the tub on an inclined plane to strengthen the movement by gravity and thus achieve a more homogeneous mixture without crushing the ingredients. 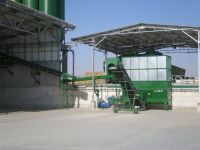 At the same time there is a saving in energy consumption. 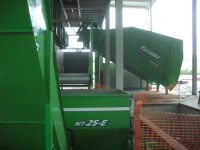 This system performs the mixing in a very short time, which means low power consumption. 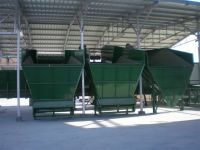 The chopping and mixing system consists of 3 augers set out to form an inverted triangle. 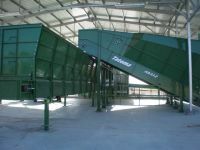 The continuous thread top two augers rotate in opposite directions, causing the ingredients to flow both lengthwise and crosswise. 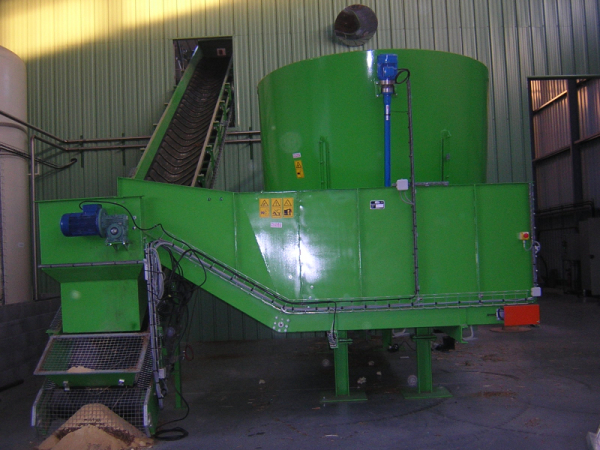 The lower auger, with discontinuous choppers, ensures that the components are well chopped and mixed. 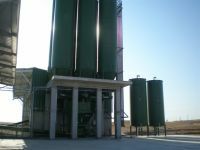 Static plants with a single vertical mixer are based on a mixed system consisting of a VM consisting of a tapered cone with a vertical auger. 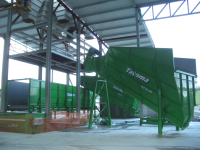 Mixing is carried out by the effect of the multiple serrated blades of the auger, which cut the product while it moves up and then falls back down thanks to gravity. 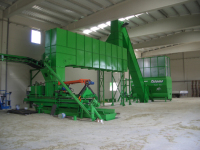 Mechanically it is a very strong and simple machine, capable of chopping bales of all types and any kind type of ingredient, including the more fibrous. 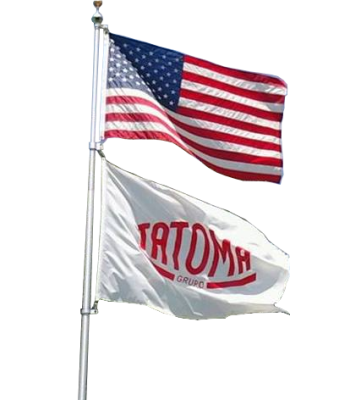 This is just a couple of stationary plants around the world that Tatoma has created. ​in the region of Haifa, Alava. 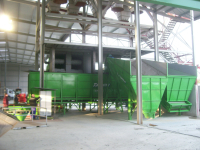 This Feeding plant can process over 40 tons of food for cows every hour. 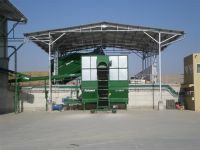 Stationary Plant Os Irmandiños S.G.C. 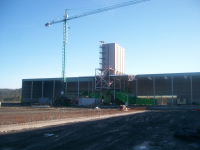 Tatoma Group is ascribed to the development, manufacturing and installation of static feeding plant for the cooperative Irmandiños from Ribadeo Lugo. 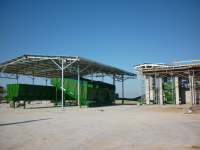 This plant is designed to process 30 tons of food for cattle production per hour.